Switzerland-based banking giant UBS has issued new guidelines for employees that are as precise as a Swiss watch in telling them how to dress and even how to smell. The 43 pages of rules come as the bank tries to recover from public relations embarrassments. Switzerland-based banking giant UBS has issued a new dress code for employees that is as precise as the movements of a Swiss watch in telling them how to dress, style their hair and even what they should smell like. The investment banking firm’s 43-page edict is being tested in five of its Swiss branches. The 154-year-old company is thought to be trying to burnish its conservative credo in the wake of legal troubles in the U.S. and financial woes that led to the U.S. Federal Reserve Board bailing out the bank to the tune of $74.5 billion. And the stern new rules are enough to have Victoria’s Secret execs wiping their tears with frilly lingerie: Female employees are instructed to wear flesh-colored underwear, keep their skirt length to mid-knee, and steer a wide berth around ankle chains and body piercings. Nor are male employees exempt from potential disapproval over their dress: UBS wants them in classic-cut two-button jackets and forbids them to wear the same ties or shoes on consecutive days. They must also resist the temptation to turn back the clock by using hair dye. Vote: Does Swiss bank’s dress code go too far? 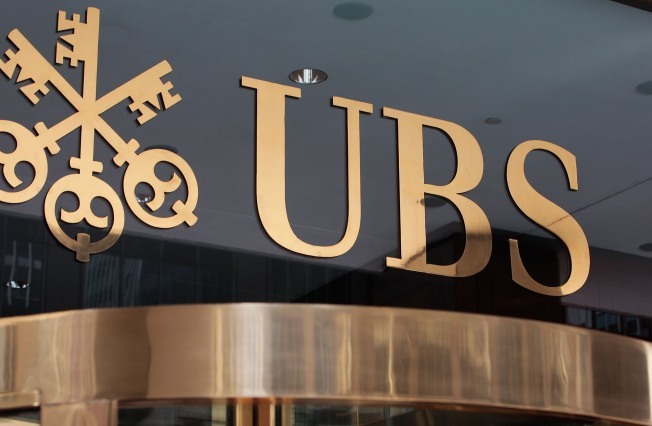 The stringent Swiss standards come as UBS launches an ad campaign to shore up its image and consumer confidence in the wake of public relations hits that have damaged the company. In 2008, a U.S. Senate panel accused UBS of helping rich Americans avoid taxes through offshore bank accounts. When criminal charges were threatened, the bank paid a $780 million fine to stave off prosecution for defrauding the U.S. Internal Revenue Service. Also in 2008, UBS received the highest amount of bailout money the U.S. supplied any international firm in the wake of the global financial meltdown. While nearly a third of UBS’ 64,000 employees are located in North America, UBS spokesman Jean-Raphael Fontannaz told the Wall Street Journal that the new dress and style code is in effect only among Switzerland-based employees, and even then, only covers 10 percent of those workers. But if it proves successful, it may be extended to other Swiss employees. But at least one U.S.-based bank may be as finicky as the Swiss when it comes to their employees’ appearance: Last June, Debrahlee Lorenzana, 33, sued Citibank for gender discrimination, claiming she was dismissed for being too attractive. Though the bank issued a statement declaring the bank’s “reputation makes up our most precious asset ... and so adopting irreproachable behavior implies having an impeccable presentation,” some are casting a less than reverent eye on the fussy new rules.